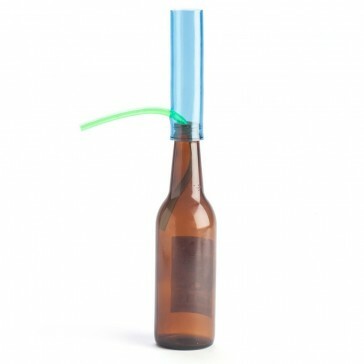 Take your beer sculling skills to the 'neck' level and down a beer in a matter of seconds with the personal beer bong. Unfold the bottle vent hose (coming out of the bottom) and place it into the bottle. 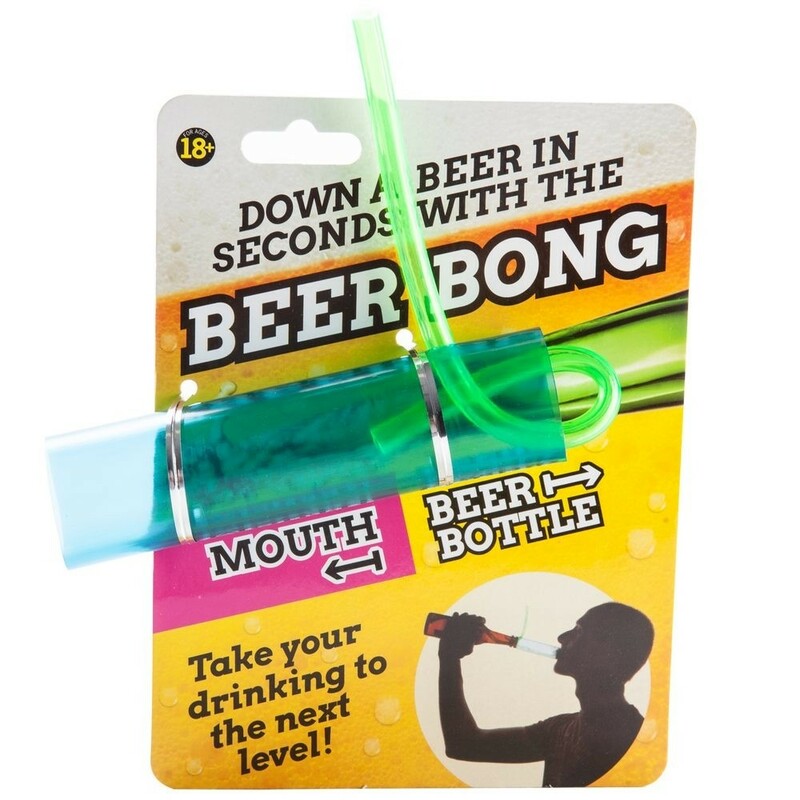 Slide the beer bong over the mouth of the bottle. Place your finger over the external vent hose (coming out of the side). 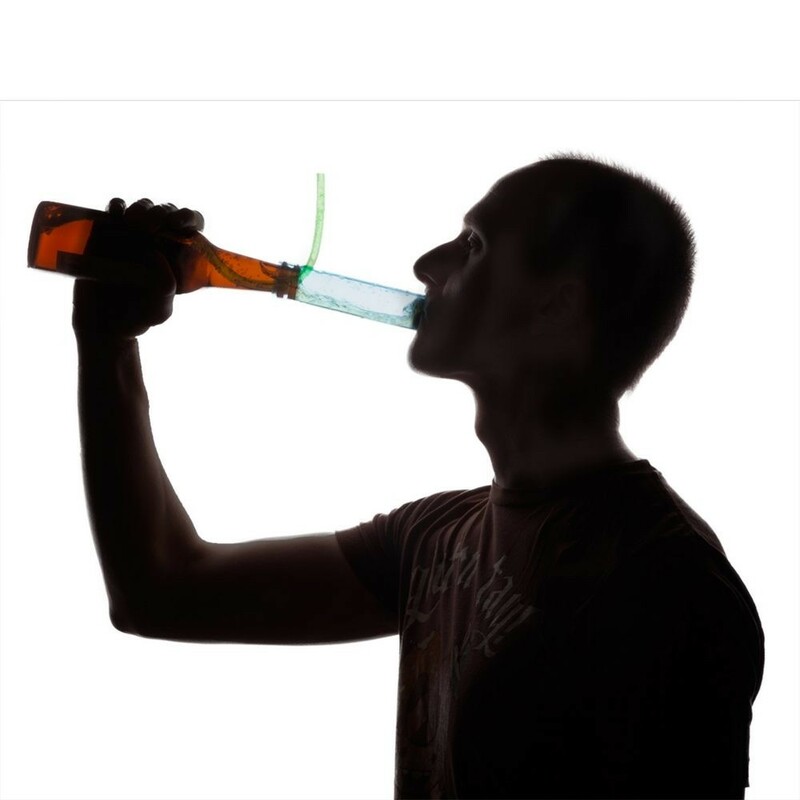 Place your mouth over the beer bong, and then upend the bottle whilst taking your finger off the external vent hose.